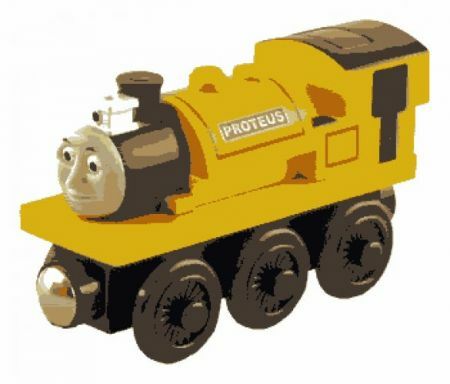 Proteus was a very old engine from the hills of Sodor with a lamp that was so bright you could see it for miles. Legend has it that his lamp was magic and if any engine ever found it, their wishes would come true. Push button on top of engine to turn lamp on.